On 02.02.2018 the College ESLG organized the graduation ceremony of graduates of all levels and of all study programs. 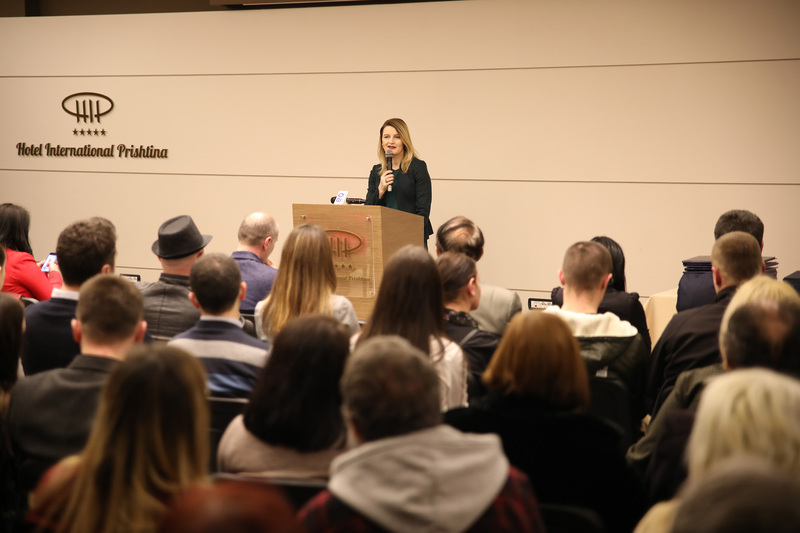 The Minister of European Integration delivered the opening speech during the graduation ceremony, whereby she pointed out that the graduates today should be able to combine the knowledge gained during the studies with the practice without leaving aside the responsibilities that they have as active citizens of Republic of Kosovo, which on 17 February will celebrate its 10th anniversary of independence. Minister Hoxha pointed out that the study programs, which are delivered by College ESLG have a great future and are in line with the dynamics of modern economy, by not only creating new jobs but a myriad of other opportunities.